Greek Prime Minister George Papandreou traveled to the United States to promote a message: We're in this together. The debt crisis that has threatened the Greek economy and the stability of the European Union's monetary policies "very much involves America's interests," Papandreou stated in a speech at the Brookings Institution in Washington. The prime minister--who was born in St. Paul, Minn.--even connected the current crisis to the Great Depression as well as the Great Recession. "If the European crisis metastasizes, it could create a new global financial crisis with implications as grave as the U.S.-originated crisis two years ago," he said. But the path from a Greek crisis to a U.S. crisis is not a direct one. The European Union is hoping it can contain Greece's debt crisis before the problems spread across the continent--threatening the stability of all countries that use the euro, or the euro zone--and then over the Atlantic. The crisis began shortly after the election last fall of the new socialist government led by Papandreou. State officials revealed that Greece's budget deficit was at 14 percent of GDP--almost twice what the official Greek government statistics had reported. Two months later, Moody's downgraded Greece's debt to A2, raising the possibility of Greece defaulting on its debt. If Greece defaults, "it risks exacerbating the economic downturns and could even reignite an acute financial crisis" through higher interest rates, Marc Chandler, global head of currency strategy at investment firm Brown Brothers Harriman, wrote in a report. A Greek default would hit Americans hard in one major area: exports. According to the Economic Report of the President by the White House's Council of Economic Advisers, in order to "fill the gaps left in demand" by the recession, "net exports need to rise." President Obama announced in his State of the Union address a goal of doubling exports over the next five years. That goal might be hard to reach if Greece's debt crisis is not contained. "Under the scenario where things get much worse in Europe, the dollar would get strengthened relative to the euro, and that would create a policy headache for the Obama administration," says Steve Hanke, an economist at Johns Hopkins University. A stronger dollar would make U.S. exports more expensive. In addition, as interest rates in Europe soar and the euro falls in value in response to the credit crunch, Europeans would be unable to buy as many U.S. products. The likelihood of that scenario depends partially on what the European Union decides to do about Greece. In reaction to this panic in Greece, much of the rest of Europe became frustrated over Greece's ability to hurt the rest of the continent economically but with little accountability owing to the fact that Greece is an independent state. Because Greece uses the euro, its fiscal problems can weaken the currency and lead to higher interest rates for all Europeans. 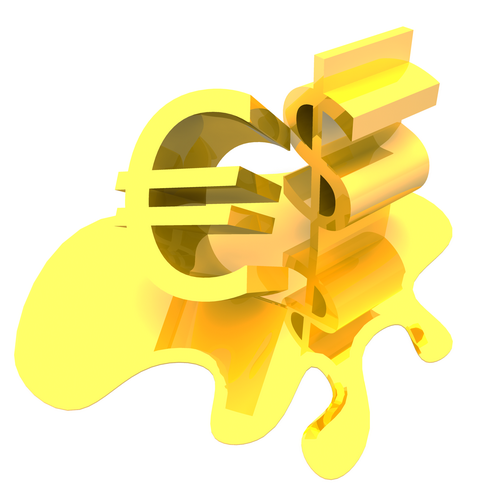 A February poll found that a majority of Germans want Greece out of the euro zone. Greek officials have received reassuring signs from Europe's leaders that the European Union will bail out the country in some way to assure creditors that it will not default on its debt. José Manuel Barroso, president of the European Commission, also announced this week that whatever mechanisms the EU uses to help Greece will be in line with the laws of the EU--assuaging fears that a bailout would violate the Maastricht Treaty, the agreement that created the euro. But it is not guaranteed that bailing out Greece will save it and, by extension, the euro zone. Hanke worries that even with a bailout, wealthy Greeks and foreign investors will not stop withdrawing their money from Greek banks, from which they have already pulled out billions of euros. In order to get the rest of Europe's support for a bailout, Greece has had to promise to fill in its budget with more tax revenue. But paradoxically, those taxes might cause even more people to flee the Greek financial system, says Hanke. "In effect, with bank runs coupled with capital flights, you would get a collapse in credit in Greece," he says. Such a collapse would have two major potential effects. First, a credit crunch would spread to other European countries that have vulnerable economies. For example, "if you had a lot of capital flight out of Greece, all of a sudden people in Spain say, 'We're going to be next,' " says Hanke. Second, the credit crunch would increase the likelihood of Greece defaulting on its debt. In such a scenario, Greece could temporarily leave the euro zone and return to its former currency, the drachma, which would be heavily devalued against the euro. There are still several signs that Greece can use the market to navigate out of the crisis without a default. Last week, Athens sold 10 billion euros of 10-year sovereign bonds to foreign investors. But an amount of 23 billion euros is needed to meet government obligations through May. And Greece has only begun to implement changes to its budget that will bring it out of a fiscal hole. Earlier this month, the government announced a plan of cuts to wages of government employees, tax hikes on tobacco and alcohol, and other measures expected to raise 4.8 billion euros. But these steps will reduce Greece's budget deficit by only 2 percent of GDP. It now stands at 12.7 percent of GDP, well above the European Union's target of 3 percent. Even the changes so far have not been easy politically. Several of the country's labor unions are striking in protest of the spending cuts and tax increases. Perhaps, however, Greece can breathe its biggest sigh of relief over the fact that the international investors who recoiled in horror over the country's fiscal problems just a few months ago appear now to be softening their stance. Investors trade credit-default swaps on Greek sovereign debts, which are contracts that function as a kind of insurance on the chance the government will default. According to credit-default-swap prices from financial information company Markit, the annual cost to insure a five-year government bond for Greece hit a high of $425,000 on February 4. That was a 67 percent increase from the previous three months. But as of March 9, the cost had fallen to $289,000, down to the levels of December.